With wins from the men’s 2nd and the mixed doubles on the Friday, the women’s 1st team were looking to continue the success on Saturday night. They got off to a strong start, taking themselves comfortably 2-0 up within the first half an hour. York came back fighting with their first pair beating all three Lancaster partnerships, including Lancaster’s first pair and Roses veterans Ziyu Zheng and Amy Heron. Lancaster clinched another two games, bringing the score to 4-3. As the last two games went onto court, all was to play for. York would need to win both; Lancaster just needed one to bring home the win. Jess Logue and Victoria Hatch put on a nail-biting performance, winning the first set to then lose the second. The girls pulled through in the third and were overjoyed to win 21-19, taking Lancaster 5-3 up and confirmed winners of the match. 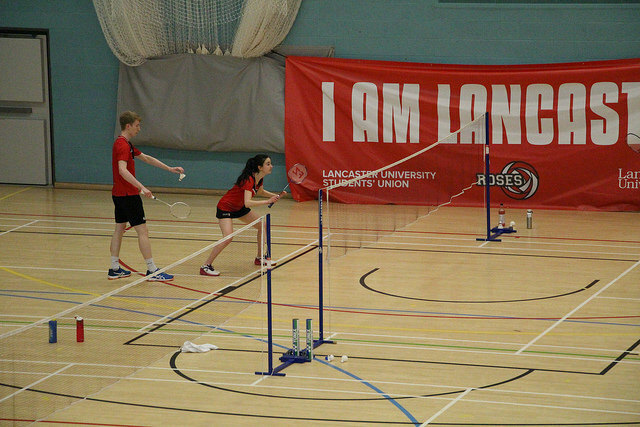 Liyu Yang and Cheryl Kwong also won the last game of the night, resulting in a 6-3 win for the women’s 1st team and four points to team Lancaster. To make the celebrations even sweeter, these were the final points required to give Lancaster the victory over York at Roses 2018.